Take a little "me time". Come bring your photos and join one of our librarians and work on your project. No experience needed. Community outreach event that will include a free build utilizing Legos, a Lego EV3 programming/driving demonstration, and a demonstration of High School FTC Robotics. Join the club to create a character and have an adventure! New and experienced players in grades 6 and up are always welcome! Snacks will be provided! Location: Alldrich Room and Art & Activities Room. Enjoy the relaxing, warm atmosphere of friendly people, good music, hot coffee, and home-baked goodies. The Open Book Coffeehouse is located on the Lower Level of the Canton Public Library. Parking is to the left when facing the library from Washington Street. Enter by the "Special Events" door to the left of the columns, midway into the parking area. Join us in the Maker Space for a quick introduction to Office 365 and Google Docs. Office 365 is Microsoft's online version of their Office Suite (Word, Excel, Powerpoint) and Google Docs offers free online Word Processing, Spreadsheets and Presentations. You'll need an email to sign up for a trial of Office 365 and you'll need a GMAIL account in order to see Google Docs, but we can sign you up for one if you don't have one already. Monday night mysteries; once a month on the third Monday at 7:00 pm. No registration required-read the book, join the conversation! Copies of the book will be available at the Circulation desk-just ask for the Mystery Book Club title! Do you want to learn about groups and clubs in your community? The volunteer fair is wonderful opportunity for Canton based non-profit organizations and town agencies to connect with potential volunteers. Stop by to connect with local groups to see how you can make a difference in your community! Free and open to the public. Join Marsha Wright from Self Help Inc.'s CFCE for Silly Science & Magical Math. Silly Science and Magical Math is a school age parent child program that introduces children to science topics through fun hands on exploration. Some activities may be difficult for younger children, and will need parental assistance. An adult needs to stay with their child. Kids10-12 will build our R2-D2 robot kit and check out the Maker Space room! 8th grade Girls Scouts Troop 75203 present story and craft for ages 4-8 years old. Join Ms. Marsha's monthly STEAM/Literacy playgroup for preschool children ages and their caregivers which include parents, grandparents, guardians, and informal caregivers. Each month a different topic will be explored using manipulative toys,puzzles, games, crafts, and literacy based activities. Each session will include developmentally appropriate science,math,art,and literacy activities that are aligned with the monthly theme. Caregivers will be provided with a set of activities to continue the learning at home. In addition children will gain social/readiness skills such as listening, turn taking, and cooperation as they participate in the individual and group activities. Presented by Marsha Wright from Self Help Inc.'s CFCE. Consumer Reports is available to Canton Cardholders through the Library Website! Annual end of year CAPE meeting. Join Ms. Marsha from Self Help Inc.'s CFCE to sing songs, play with toys, read stories, and complete a simple craft loosely based around a monthly theme. There will be a period of free play in the beginning of the program, which allows parents to chat with each other while their children play. This program is geared toward children ages nine months to three years, and siblings are always welcome. Home sellers workshop presented by Real Angels Foundation. Join us in the Maker Space for a quick introduction to Libby by OverDrive and more library content available on your phones and tablets. First, Second and Third place prizes will be awarded in each category for each age group. All winners will have the opportunity to read their work to the audience on the Awards Night in the Library’s Community Room. Winners will be notified by email and announced in the Canton Citizen. Teardown and reassemble a computer! Kids10-12 will learn a little something about the insides of a computer and check out the Maker Space room! Everything you always wanted to know about Facebook but were afraid to ask! The Poetry Circle is free and open to all who are interested in poetry. A poem will be distributed for discussion and participants are encouraged to bring a short selection to share with the group. You don't have to be a young person to enjoy reading about young people! 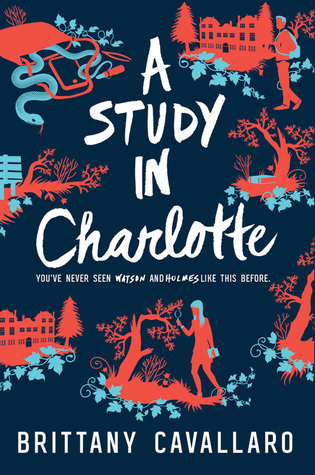 This month we'll be discussing A Study in Charlotte by Brittany Cavallaro. New members are always welcome. Plant sale held on the front lawn of the Canton Library. The Garden Club will be selling perennials, geraniums, shrubs, herbs, indoor plants, vegetables and some annuals. Master Gardeners will be on site to answer questions. Informational program on the origin, preservation and contents of the Holy Qur'an. Light refreshments will be served. Come and check out our 3-D Printer! Kids10-12 will meet the Cleverbot and check out the Maker Space! Silly Science and Magical Math is a school age parent child program that introduces children to science topics through fun hands on exploration. Some activities may be difficult for younger children, and will need parental assistance. An adult needs to stay with their child. Join us for an evening with author Juliette Fay with her latest novel, City of Flickering Light. Juliette Fay transports us back to the Golden Age of Hollywood and the raucous Roaring Twenties, as three friends struggle to earn their places among the stars of the silent screen—perfect for fans of La La Land and Rules of Civility. Books will be available for sale following her talk. Light refreshments will be served. You don't have to be a young person to enjoy reading about young people! This month we'll be discussing either Darius the Great is Not Okay by Adbi Khorram or Little & Lion by Brandy Colbert. Come to the May meeting to help decide! New members are always welcome. Join Ms. Marsha Preschool play n Learn a monthly STEAM/Literacy playgroup for preschool children ages and their caregivers which include parents, grandparents, guardians, and informal caregivers. Each month a different topic will be explored using manipulative toys,puzzles,games, crafts, and literacy based activities. Each session will include developmentally appropriate science,math,art,and literacy activities that are aligned with the monthly theme. Caregivers will be provided with a set of activities to continue the learning at home. In addition children will gain social/readiness skills such as listening, turn taking, and cooperation as they participate in the individual and group activities.